If you are looking for the perfect graduation gift then look no further – your hardworking new grad needs a drone. The right drone is sure to put a smile on the face of your proud graduate. Whether it was high school or college, what better companion to take along to the next stage of life than a drone? What Drone is Right for Your Grad? DJI Spark is a small handheld drone built for the beginner flyer. If your grad is the kind of person that needs the newest and best things then the DJI Spark is the drone of choice. It was designed to be easy to fly and setup, you can get this little quad in the air in less than a minute. 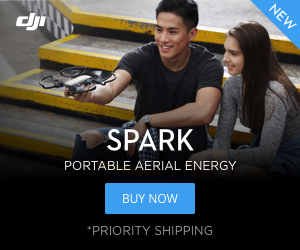 The Spark is the newest model in DJI’s lineup it surely won’t disappoint. It is a small and versatile drone capable of taking excellent video footage. The Spark is our top pick for your graduate. Maybe your grad is a budding photographer. Maybe he or she is just looking for a drone to take great videos of their weekend adventures. In either case, we’ve got two excellent options, the DJI Mavic and the DJI Phantom Standard. The DJI Mavic is a compact aerial photography machine. It has all the bells and whistles you will need: GPS, Return to Home, Waypoint navigation, Selfie Mode, Orbit Mode and more. It captures excellent 4K footage, and can still fold up to about the size of a Coke can, so you can throw it in your backpack and hit the road. The Mavic will cost around $1000, depending on which package you choose. The DJI Phantom 3 Standard is an affordable option for the those who wants a short range aerial drone. For those that are on a tighter budget, you may want to consider the DJI Phantom 3 Standard. It still has a lot of the same great features as the Mavic but doesn’t fold up for super easy portability. You’ll be able to capture crisp 2.7K video and receive all of the benefits of the support and reliability of the DJI brand. The Phantom 3 Standard typically costs under $500 and sometimes you can even get refurbished units from DJI for less than $400. Ok, so maybe this drone option doesn’t actually an have an autopilot feature, but what it does have is two features that will help the first-time pilot: altitude hold and headless mode. The drone we recommend that pairs these features with a decent onboard camera is the Syma X5UW. The Syma X5UW is a great beginner drone for less than $70. If you think your new grad wants something bigger that is still pretty easy to fly then take a look at the big brother to the Syma X5UW, the Syma X8S. Take a look at the red Syma X5UW. Maybe your grad spends a lot of time watching ESPN. If that is the case, then they probably have seen drone racing. Yes, it is pretty darn cool and he or she probably wants to try out. We’ve got the perfect drone for. The Force1 DYS XDR220. The DYS XDR220 is the real deal. It is a real racer and Force1 put together a nice all-in-one package for grads so they can get started fulfilling their dream of competing in the DRL (Drone Racing League). You’ll get the XDR220, a pair of FPV goggles, a balance charger and AT9 Transmitter. Right now you can save $100 off this package through June with the code: HALFCHRO. Watch the XDR220 in action below. It really is a beast. You are probably thinking, “Why would they want this toy?” Well, even if they aren’t an enthusiast of Ninja Lego dudes, the Eachine E011 is still a perfect drone for almost anyone. It is light weight and has ducted motors so it can be safely flown indoors around the entire family. It is nearly indestructible, we haven’t been able to break ours despite our best efforts. Our favorite thing about this drone is that it is the best indoor FPV platform available for under $25. If your grad can tinker, then they can turn this ducted warrior into an FPV indoor racer in about 10 minutes. The E011 can convert from a Lego-carrying drone to a camera-carrying FPV drone. Even if your grad already owns a high-end photography drone, they will still love this toy. Who cares if it is raining? Fly this bad little machine around the house and pester the house pets. The F100 is a good looking brushless quad that is incredibly versatile. It has a flight time of almost 20 minutes and a range of up to 500 meters. You can use it to carry a GoPro, or even add an FPV camera. The F100 is steady enough to use for taking video, but also fast enough to zip around and leave toy drones in the dust. You can pick up an F100 for around $170 and even get a second battery for free by registering it online. This is a great drone for any grad, whether they just want to fly or if they like to tinker and upgrade everything they own. If you want to get something fun that is almost indestructible and is less than $30 then consider the JJRC H31. 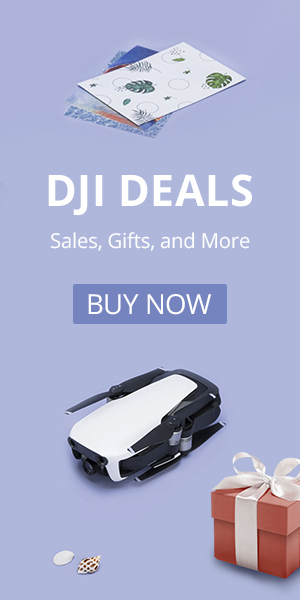 It is a waterproof drone that is fun to fly and is one of the most durable drones on the market today. You don’t have to be a pro to fly this thing and it’s not a problem if they accidentally park the drone in the middle of the pool. The JJRC H31 waterproof drone is a fast and fun drone to fly. To go along with the Spark, Mavic or Phantom we recommend the new DJI Goggles. These will give them the ability to experience flying their new drone in a new and exciting way. These FPV goggles are top-of-the-line and offer a crisp HD view from the perspective of his drone. Take a look at the DJI Goggles. Keep in mind that the DJI Spark and Goggles may be hard to get your hands on. If they are not available online when you go to buy then your best bet is the DJI Mavic. Your grad deserves the best. Check out more drones at www.HalfChrome.com.